Update: this title is now available as an eBook through Amazon.com. Newly released. 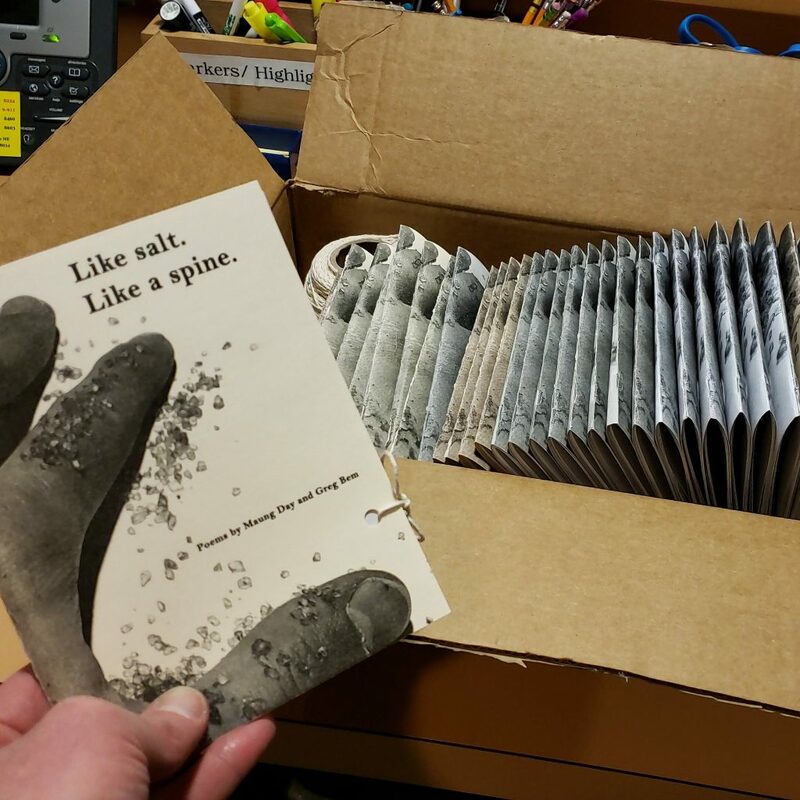 Limited run of chapbook Like salt. Like a spine. Handmade in Seattle. Created for release in Yangon, Myanmar in March 2019. Featuring poetry by Maung Day and myself. Translated between Burmese and English. Email me if you’d like to request a copy or have comments. Digital edition may be forthcoming (still undetermined).